TROSSTHEGIANT made his Lyrical Lemonade debut after an impressive music video; Now the LL frequent flyer is back with another visual that is just as stunning as the first. A couple of weeks ago TROSS dropped his latest single, ‘BigStuff”. In a short period of time, the song has already racked up nearly 150,000 streams on spotify, much thanks to being featured on the highly coveted New Music Friday Playlist. To add to the hype of this upbeat anthem, TROSSTHEGIANT just recently dropped a music video to go along with it and it’s nothing short of spectacular. 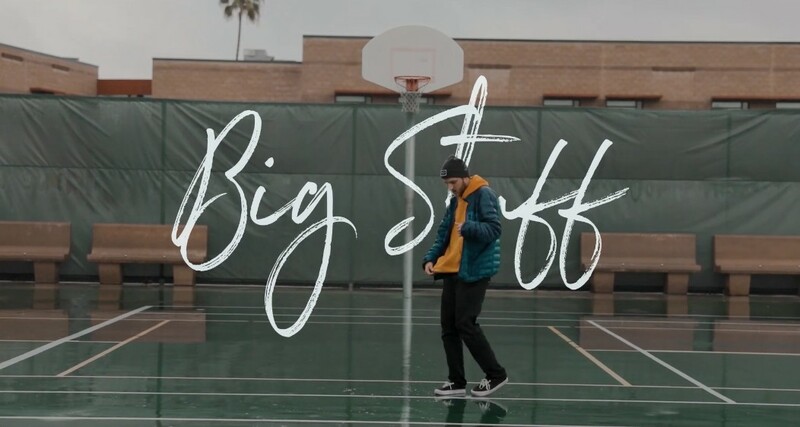 Directed by Zach Sperrazzo, the BigStuff music video perfectly highlights what makes TROSS a rising star in this industry. The care free and fun nature of this project makes it very easy for you to connect with the content. After watching this video, there’s no doubt in my mind that there is “BiggerStuff” in store for TROSS this year! I’ve attached the youtube link below, so make sure to check out the visual and let us know what you think. If you’re a fan of TROSS, don’t hesitate to follow him on his social media accounts here and here.